Video: What Technology Does Starwood Find Truly Enhances the Customer Experience? Have you ever wondered how you can use technology to elevate your customer's experience of your brand? Do mobile, wearables, Whatsapp and keyless entry for example add real value? Hoteliers are investing millions in new technology and yet according to Hospitality Technology magazine, nearly a third of hoteliers still find it hard to keep up with their guests' technological demands. The video presentation and slides are available to download here (free download). 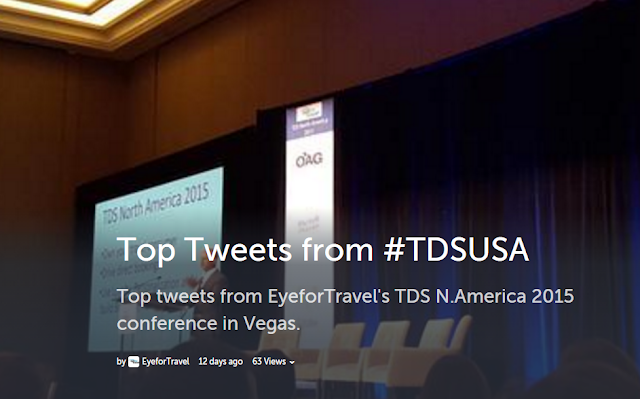 For more videos and slide content from top travel brands, sign up to EyeforTravel OnDemand. Does your travel company have what it takes to succeed in mobile? Is your app a key weapon in your battle to win and engage travel consumers? Top travel brands will find out as they battle it out as part of EyeforTravel’s Mobile Innovation in Travel awards taking place in San Francisco, March 14th as part of EyeforTravel’s San Francisco Summit. Mobile technology is no longer a nice to have – it’s a must have. Mobile is transforming the way travel is sold – providing exciting opportunities to enhance the customer experience, grow loyalty and ancillary revenues. With new mobile devices hitting the app store and extra capabilities coming to devices, travel brands cannot sit still and must continue to innovate. Past entrants and finalists of the awards include Booking.com, KLM, TripAdvisor, Marriott, Best Western, Carlson Wagonlit Travel, Worldmate, Hotwire.com, Hotels.com and more! Entrance for B2C travel brands is free of charge. All entires must be received by December 18th. Some of the biggest travel brands recently came together in Las Vegas for EyeforTravel's Travel Distribution Summit N.America 2015. We saw a record attendance this year with over 600 attendees. We've put together the best tweets from the summit to help you make sense of the North American travel market and what you should be focusing your resources on.